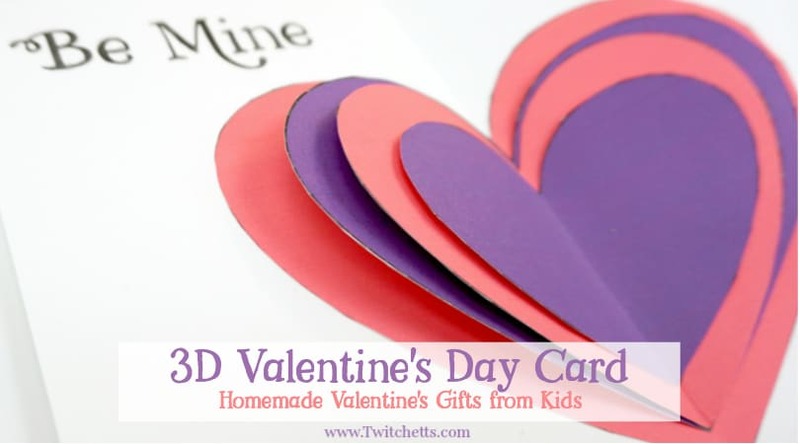 Create a fun 3d Valentine’s Day paper tree using a simple kid-friendly technique that is guaranteed to wow! 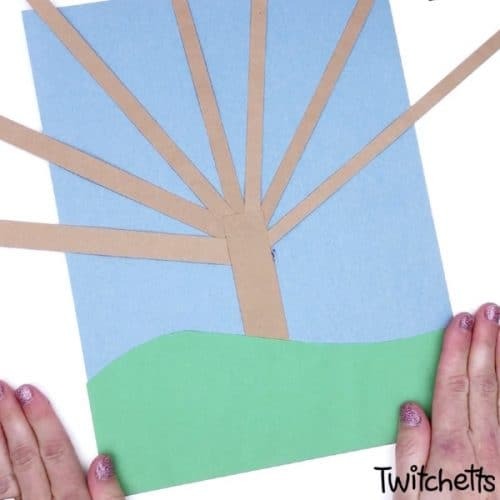 This construction paper craft is perfect for a classroom craft or a winter afternoon activity. 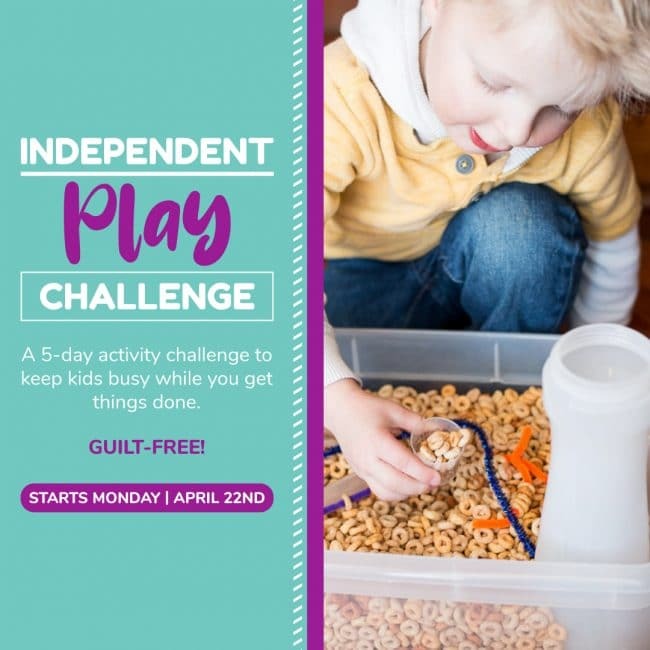 It’s fun for kids of all ages! 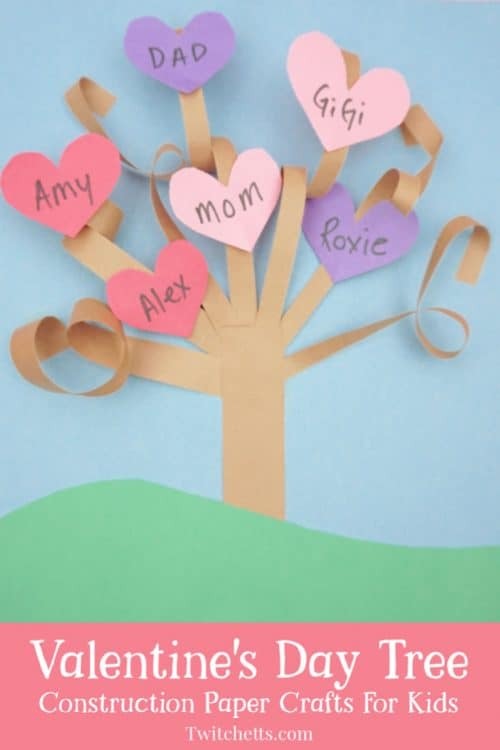 We have made quite a few 3D trees, but I have to say this Valentine’s Day paper tree might just be my favorite so far! I love that you can include the members of your family, friends, and even pets! 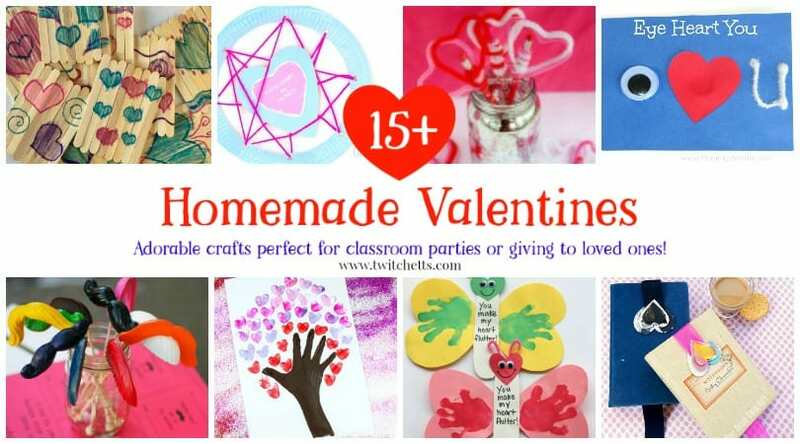 It’s a perfect Valentine’s Day craft to make and hang around your home or classroom. Construction Paper. Blue, brown, green, & heart colors of your choice. 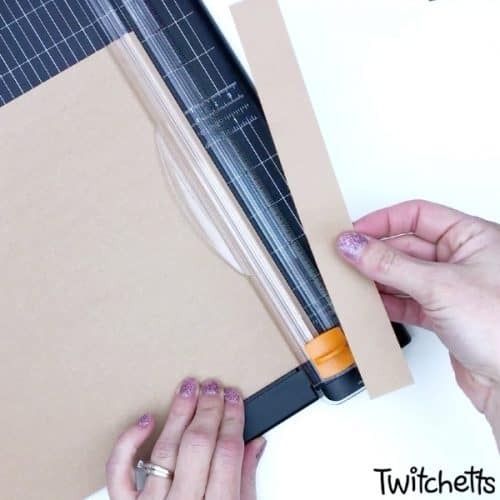 Begin by cutting the brown construction paper into strips. 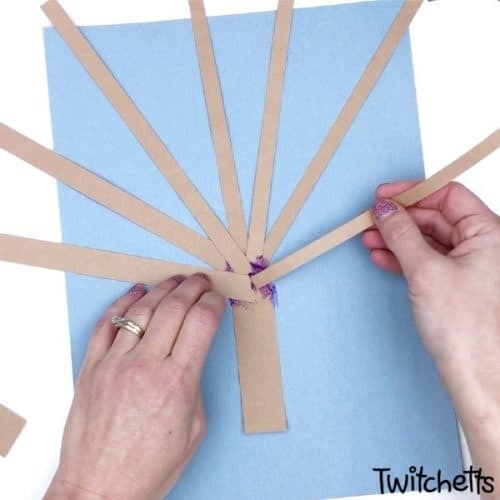 Use the short side of the paper to cut 1 strip that is about an inch wide. 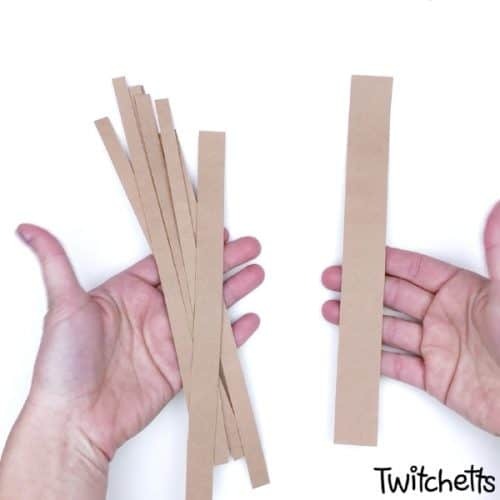 The rest of the strips can vary in thickness. The 1″ strip will be the trunk of the paper three. Cut this strip in half lengthwise. 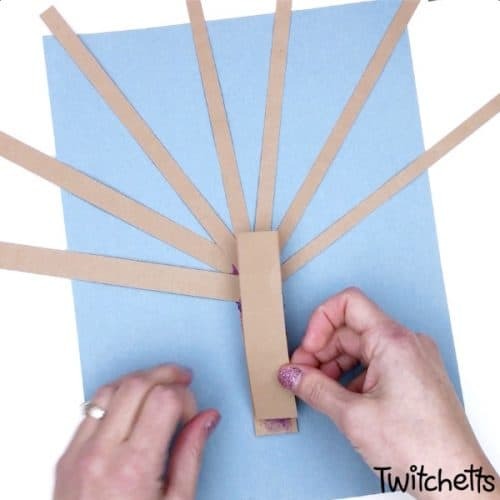 Glue one half of the 1″ strip to your blue paper and start adding all of your branches. It’s OK to have them hanging over the edges a bit. Once all the branches are glued down, add the second half of the trunk to the top to help hold it all together. 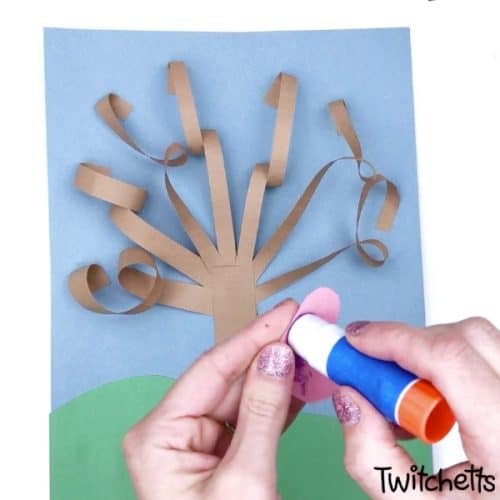 Cut the green paper to add a grassy hill. 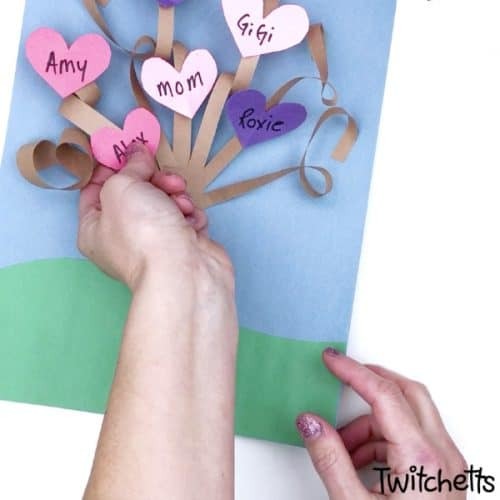 Grab the end of each branch and twist it a couple of times. 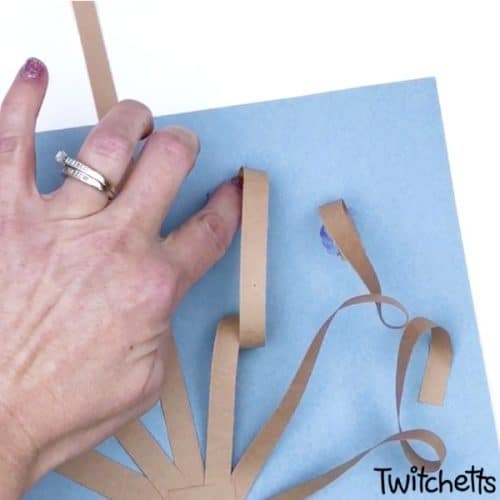 Then glue the end onto the blue paper. This will give your tree it’s fun 3D look. 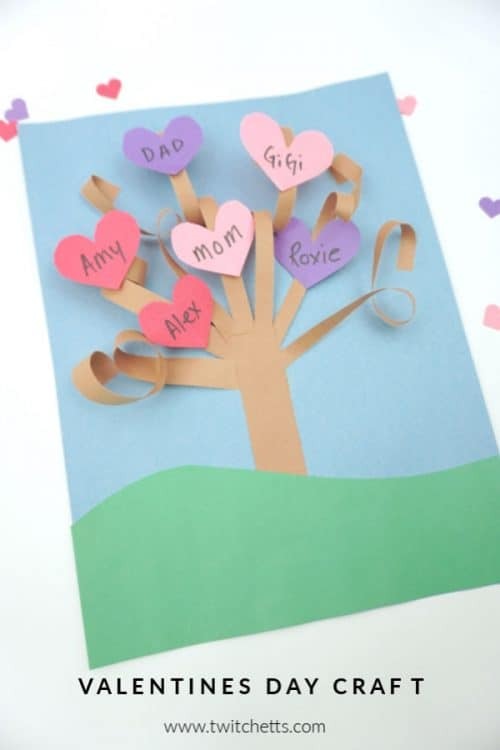 Next, cut out hearts and add the names of family members and friends. 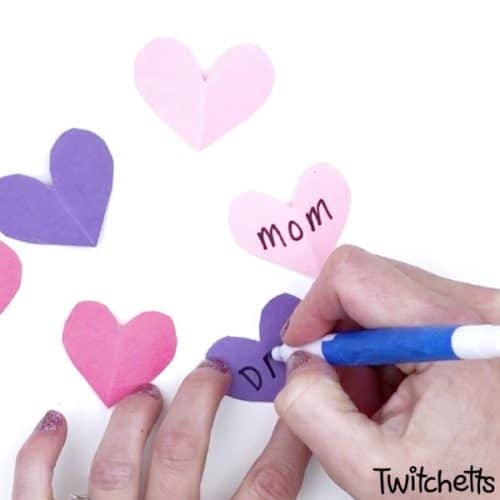 Glue the paper hearts onto the branches. Add as many as you like! 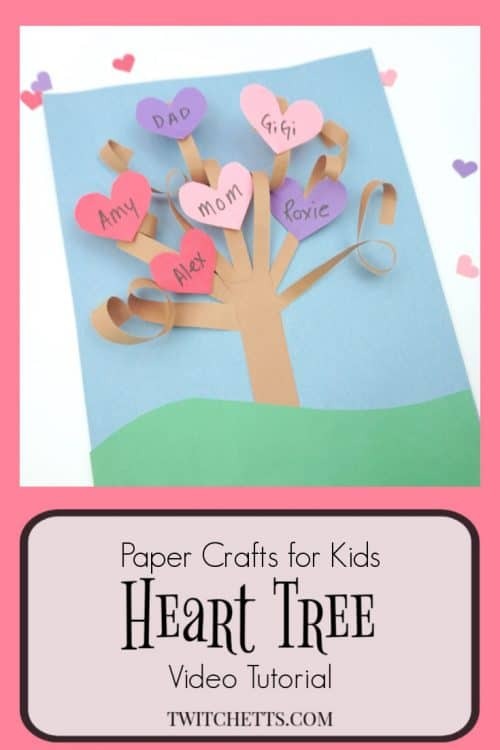 This Valentine’s Day paper tree is a fun craft for kids to make as gifts. Let them decide who they want to add to their tree. 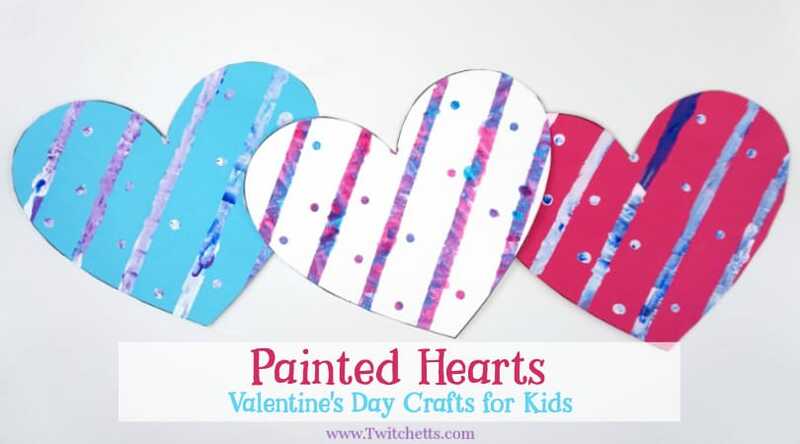 Watch us make this heart craft project in our video! 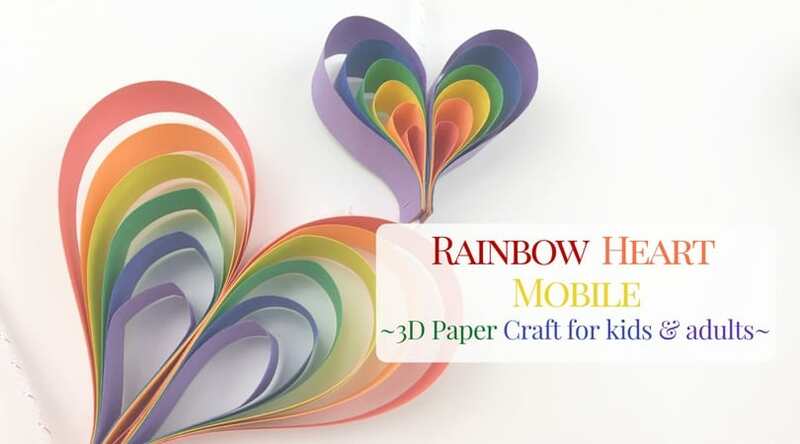 If you loved this construction paper craft for kids, please pin it to your favorite Pinterest board!